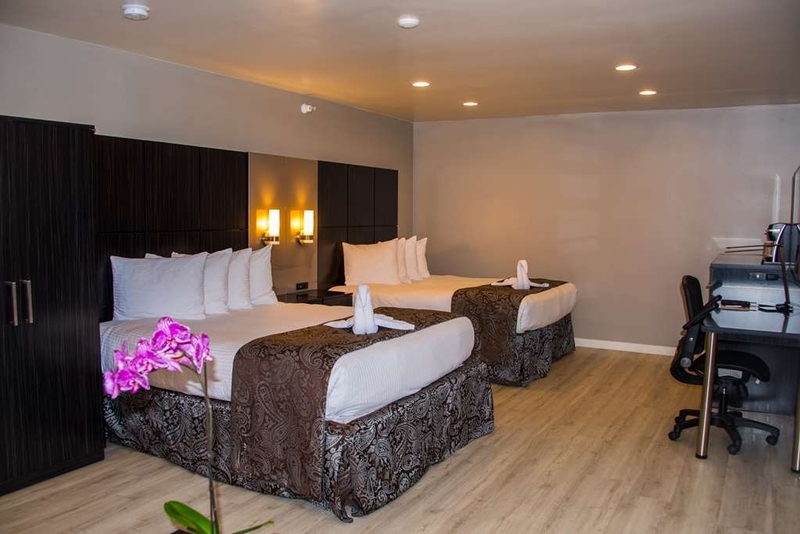 The SureStay Plus by Best Western Santa Clara Silicon Valley is ideally located in the center of Santa Clara. Come and experience our hotel near the major tourist attractions. Best price guaranteed and exclusive deals. 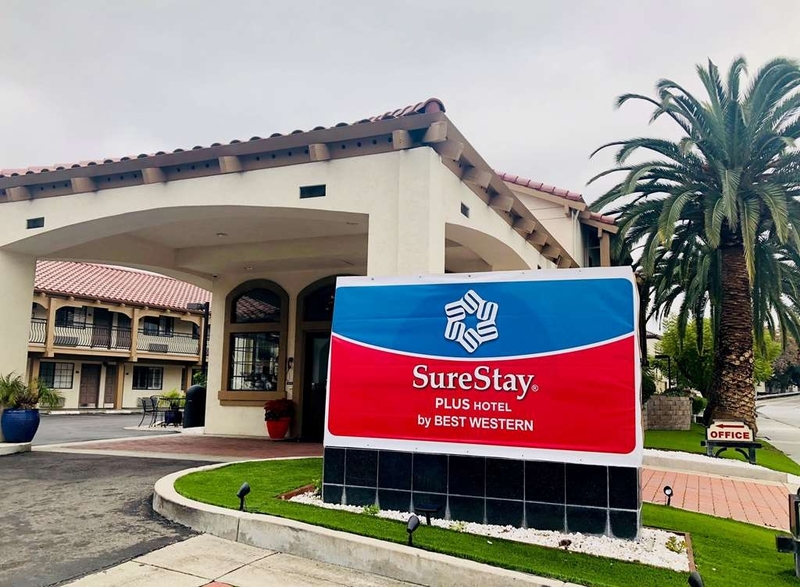 Welcome to the SureStay Plus by Best Western Santa Clara Silicon Valley. 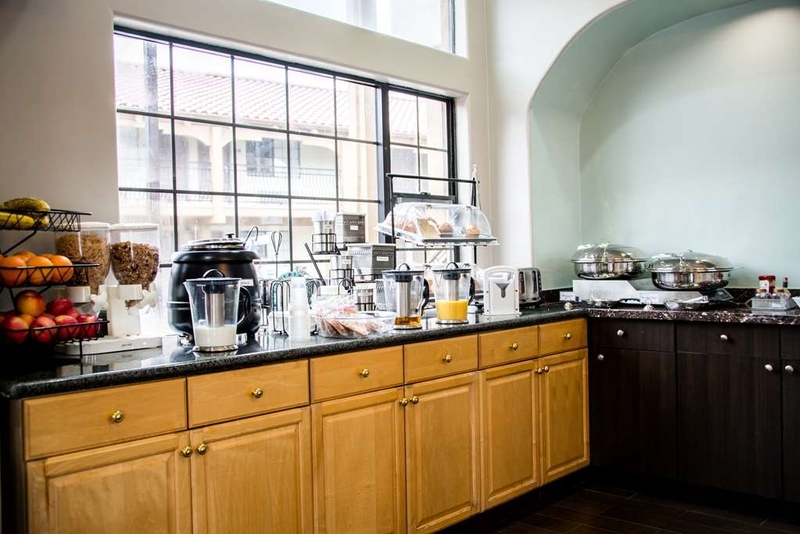 We offer easy access to Santa Clara's most exciting events and attractions. 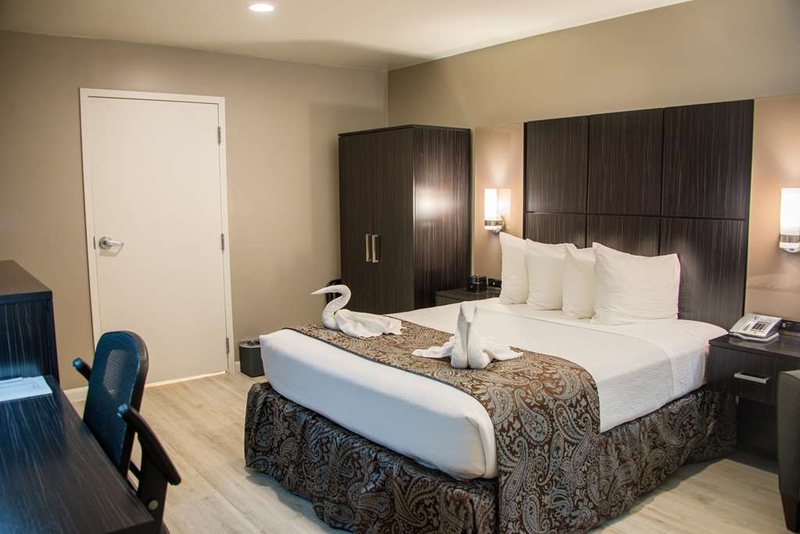 We offer a variety of king rooms from standard to mobility accessible. 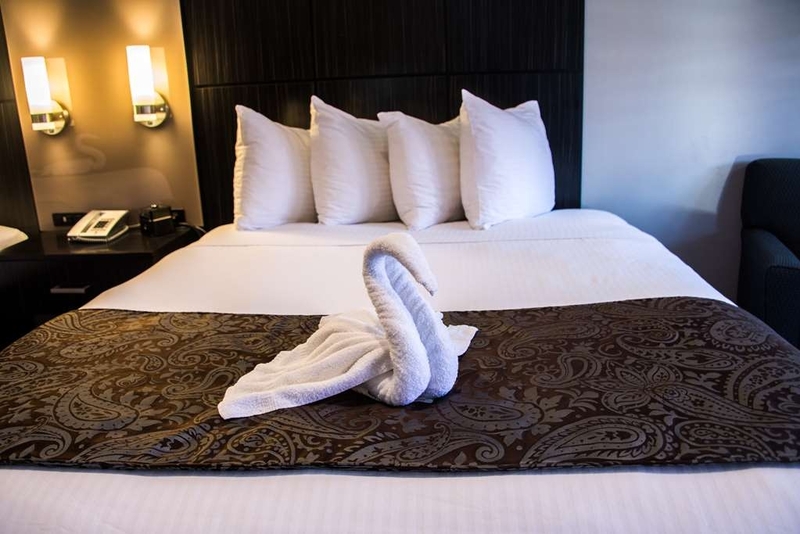 Please contact us directly and reserve your room today! 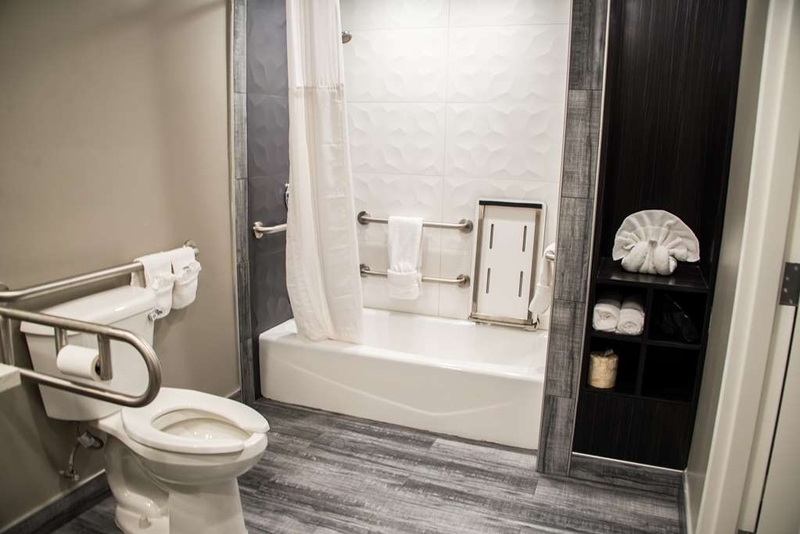 This king deluxe room has all of the amenities a traveler is looking for when away from home. 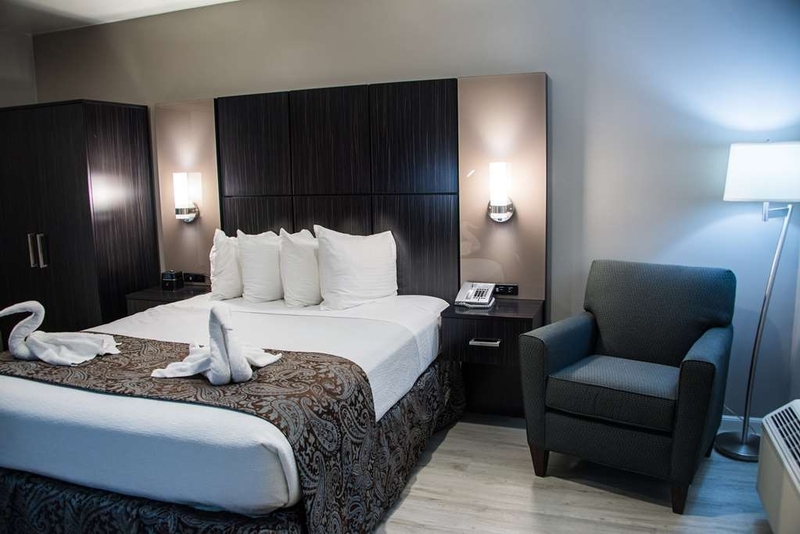 Indulge yourself in our warm, welcoming and inviting king mobility accessible room. 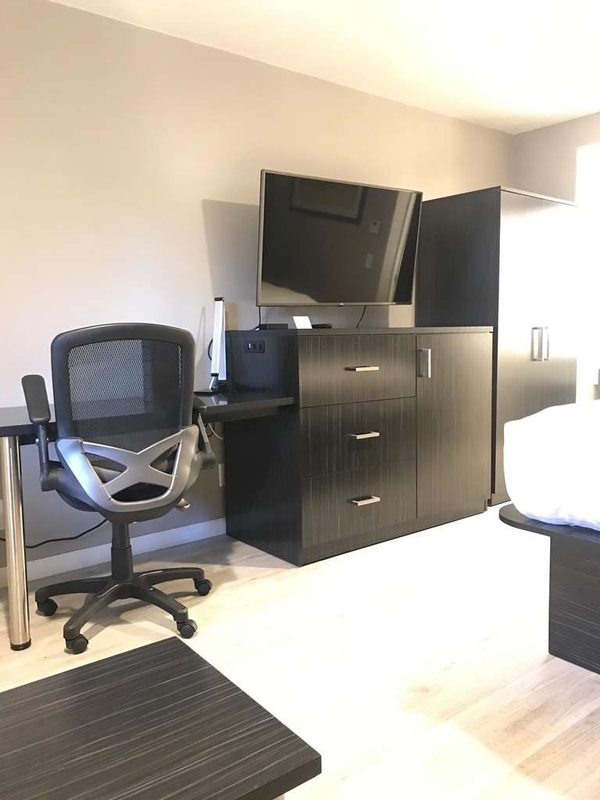 This room has all of the amenities a traveler is looking for when away from home including a 49 inch TV, bluetooth media center and free Wifi. There’s plenty of space in our king rooms featuring a sofabad for sleeping, eating and working. 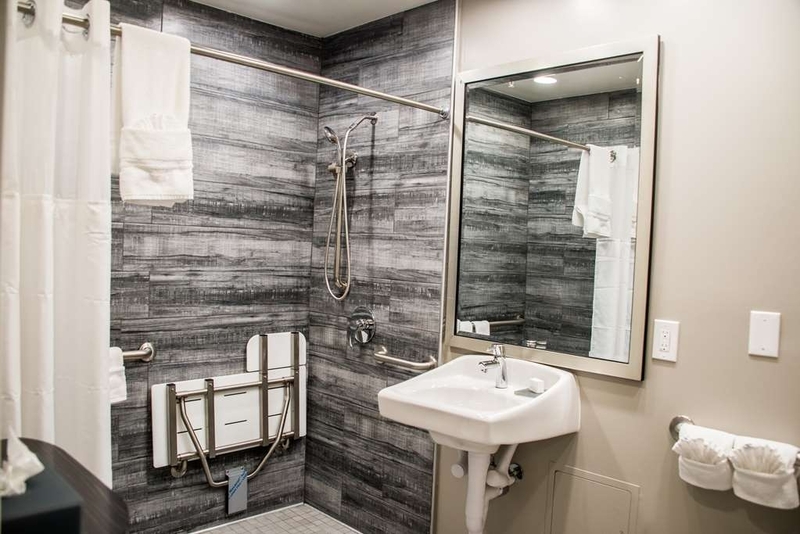 Enjoy getting ready for the day in our fully equipped king guest bathrooms. 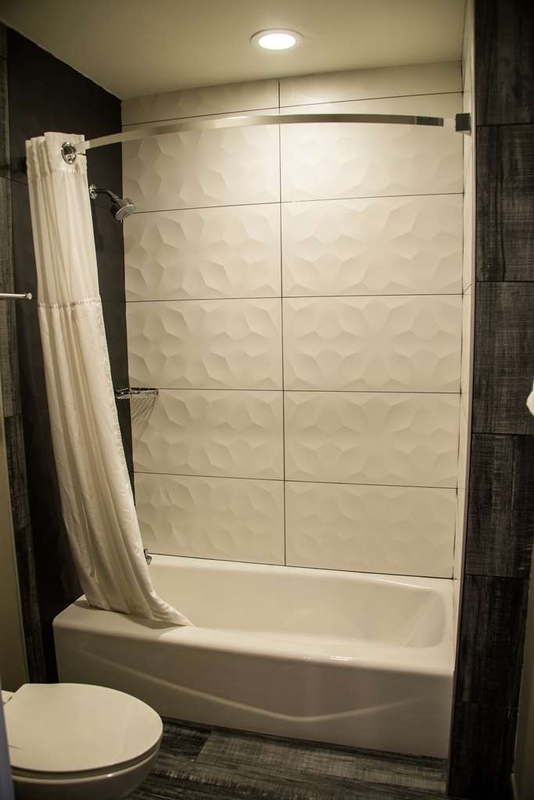 Newly renovated bathrooms are just some of our new enhancements in our guest rooms. 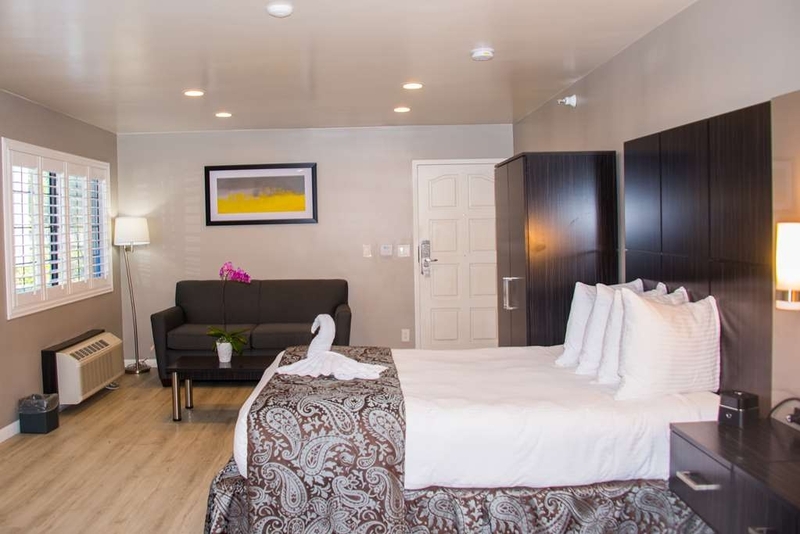 Make a reservation in this 2 queen bedroom featuring 49' flat screen TV, Bluetooth and free WiFi. 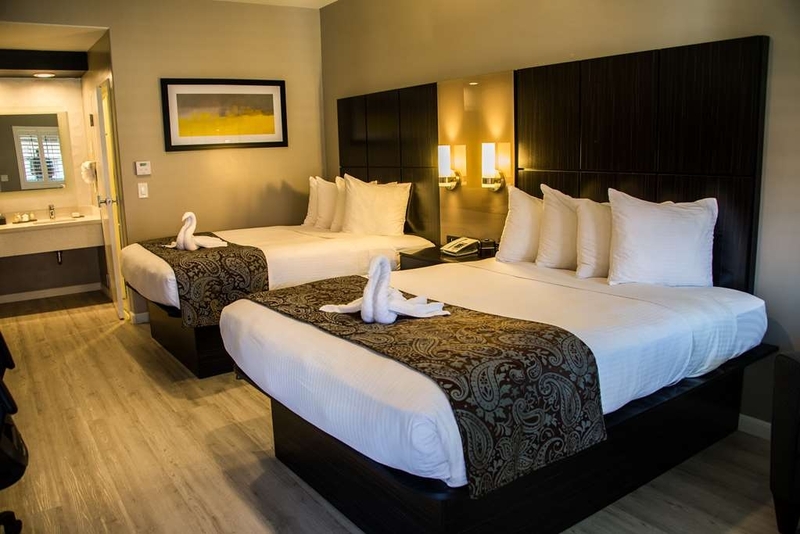 If you’re traveling with your family or group of friends, opt for our any of our 2 queen bedrooms. All of our rooms are equipped with a work desk, free Wifi & a 49 inch TV. 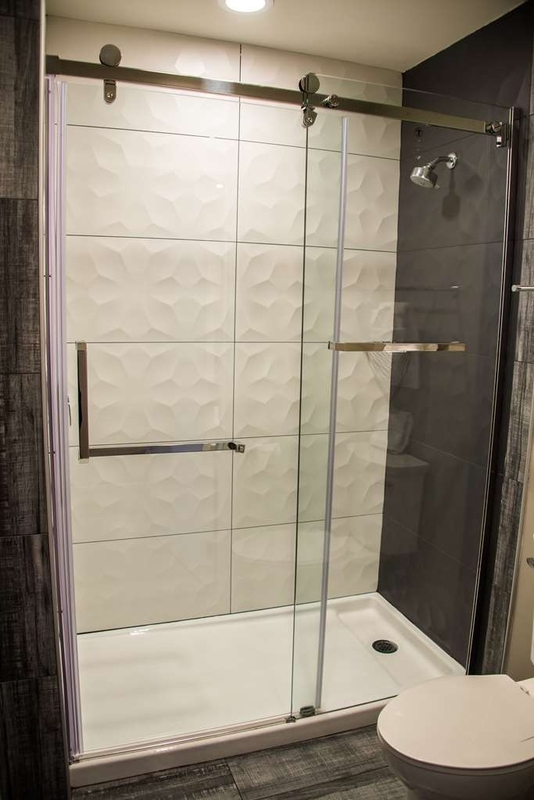 If you need a 2 queen accessible bedroom with a roll in shower please inquire directly. 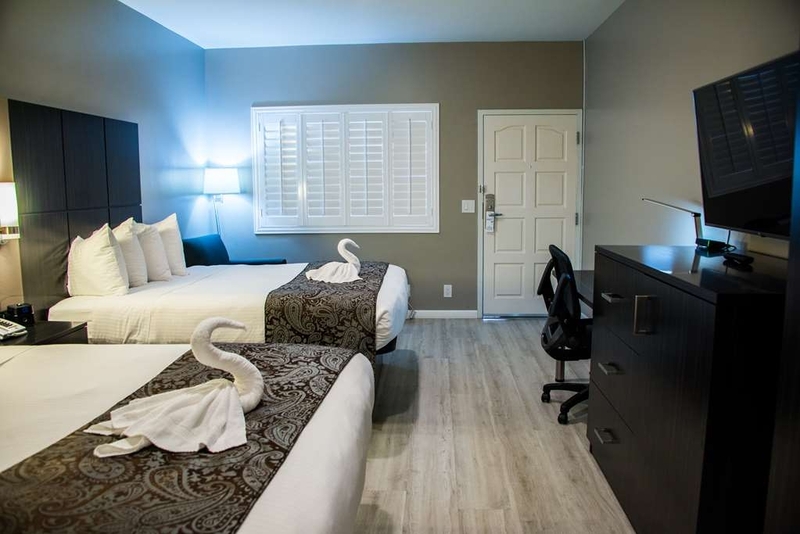 The SureStay Plus by Best Western Santa Clara Silicon Valley is a newly renovated hotel located in the heart of the Santa Clara/Silicon Valley business district. 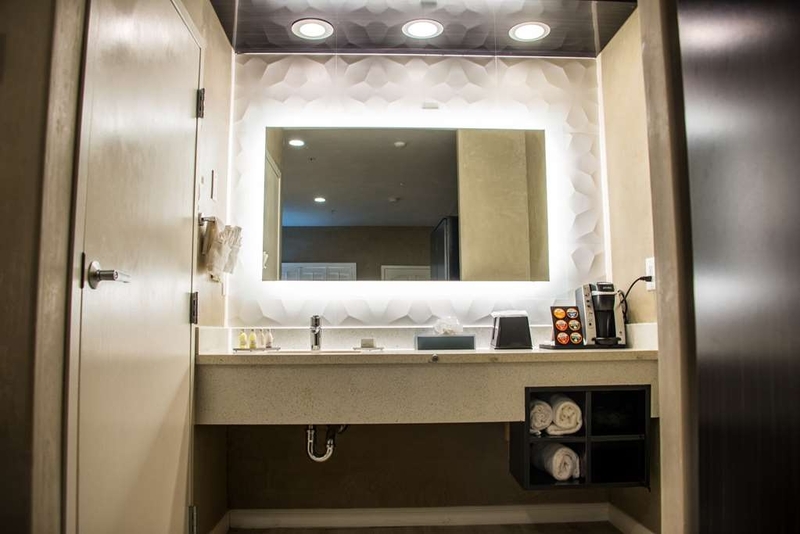 We offer all the amenities a business traveler needs and some they just never knew they wanted! 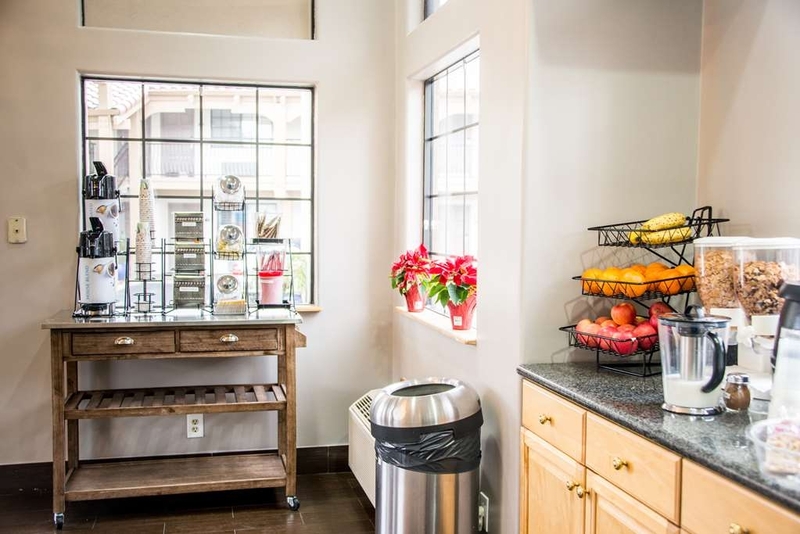 From 50-inch HD televisions to in-room safes and Keurig® coffee makers, we have all the amenities of home. "cancelled reservation 36 days before and where told that there would be no charge, which was not the case"
Dear Fearless17453449207, Thank you for your comment. Reservation can be cancelled up to 24 hours prior to arrival unless there was a restriction applied to your reservation such as advance purchase with non- cancellable and non-refundable policy. You must have a cancellation number for us to be able to reconcile this issue. Please contact the hotel directly and speak to Guest Services or General Manager. Thanks. This was my first time staying at a SureStay hotel. I usually stay at Best Western's. I'm very happy that that SureStay is part of BW cause I was able to use my Travel Card while staying there. I would stay again. We had a good stay. It was clean, but cold and loud due to not having any carpet. The breakfast was very good. I was upset when they sprung the $200 deposit on me at check-in. It was hard to find the hotel, but got it on the 3rd try. It was in a pretty safe neighborhood. Great place, clean rooms, nice staff better then other places I've stayed there in San Jose. Would definitely recommend it to anyone traveling or there on business. Also great prices compared to other places in that area. "Great, worry-free place to stay"
This hotel was near the airport and we had an early-morning flight so we stayed there for one night. We've stayed at Best Western before so we already knew that we could expect a comfortable stay. This time did not fail to disappoint. The people at the front desk were helpful and efficient, the room had everything we needed, and check-out was a breeze. Best Western has always been like this for us. Hi Moki, Thank you for sharing your experience with us. It's our pleasure to serve our guests and we're so happy that we met your expectations. Thank you, and hope to see you again. The rooms have been updated very tastefully. Parking can be a challenge do to the construction. Good breakfast but a small dinning area. On the edge of el Camino which gave access many stores and restaurants. "Modern-ized motel to 21st century"
A very good upgrade to an old property. Location is now more upscale and convenient to many businesses, university and airport, bus lines. Simple warm breakfast, small, small seating (outdoor is available in good weather). Water is quite softened, can be good and yet unusual for most folks. Some street noise, parking can be a hassle due to containers in the parking stalls, staff is pleasant and helpful. Room was great overall. Fast food nearby. Airport is close and lots of shopping in the area. Hello, Thank you for staying in our hotel. we hope to see you again..
We flew to Santa Clara from Idaho for college basketball games at the Leavy Center. 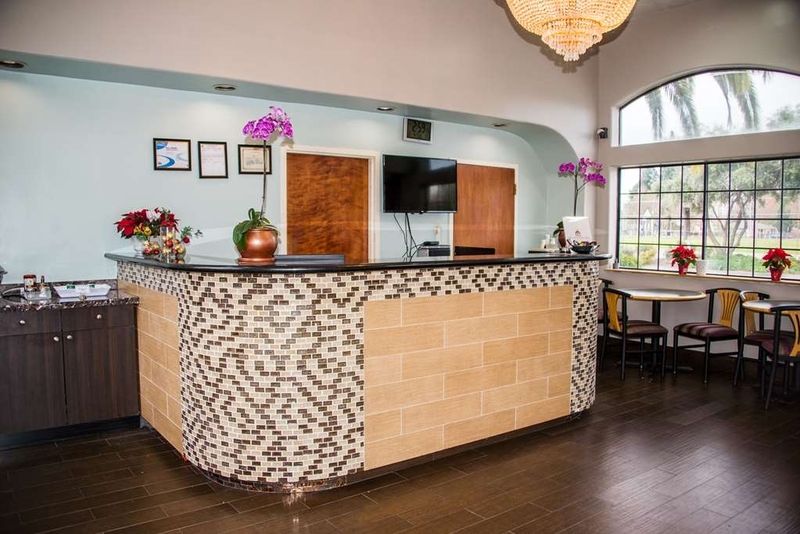 The motel is less than a mile from the college and about a mile from the airport, so perfectly located for our needs. Out room was very clean, had all the amenities we required and was fairly quiet. The staff was friendly and helpful. We love older hotels because of their charm. This one was great. It has recently been updated and was super clean. It is a drive up hotel. Did have updated locks on doors.. The breakfast was ample for most people. Had eggs and sausage as well as pastries and cereal. Would stay again. Had trouble finding location off of US101, but got their after a phone call and a very nice employee helping us. TV didn't work at first but staff came up to our room and worked on problem as they said they would. Took care of problem promptly. 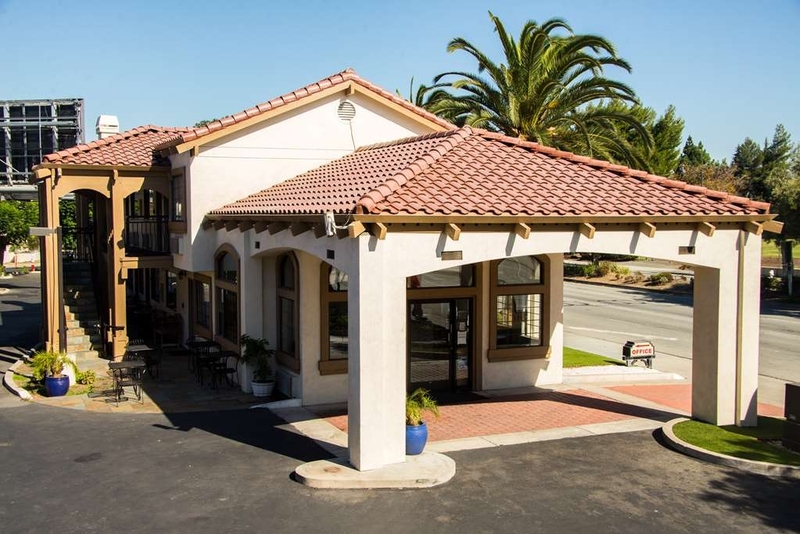 "Excellent stay for our 40th SCU reunion!" We got an excellent AAA base rate of $113 on the Saturday night of our 40th Santa Clara reunion. Easy walk to campus. The rooms have just been totally refurbished and were very clean and comfortable. It was very surprising because from the outside you wouldn't expect this. The hotel seemed to be fully booked but we slept great with no noise. Our room #112 was on the ground floor. The bed was very comfortable and the shower was beautiful. There was a couch and coffee table. 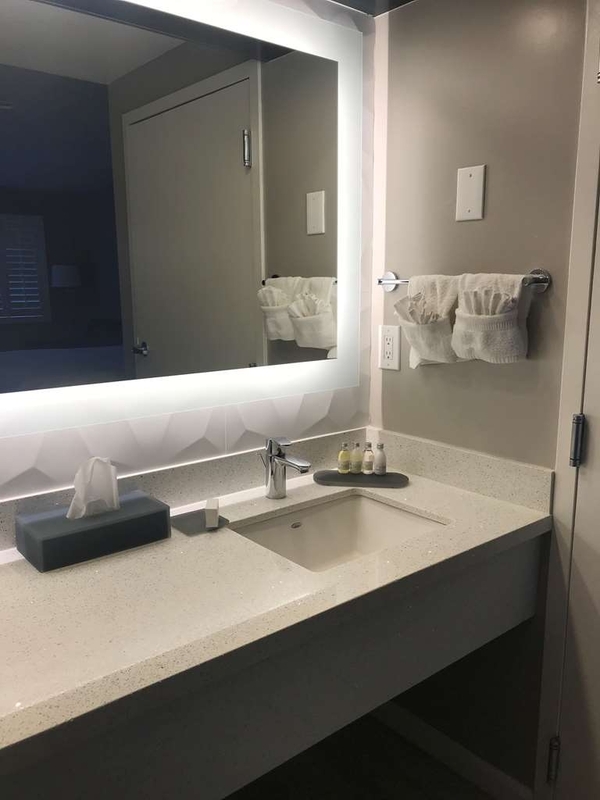 Loved the spacious vanity with great lighting. They even offered coffee and a small continental breakfast. The San Jose area hotels are so expensive. 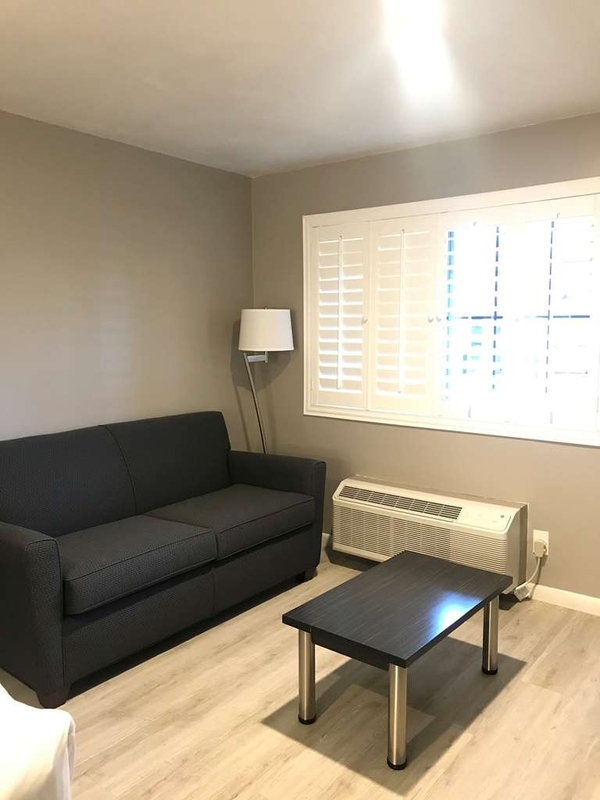 This is a steal for close to SCU and even the SJC airport. "Great stay, close to everything." Really enjoyed our stay in Santa Clara at the Mission Inn. The room was very comfortable and clean. Nice staff. Centrally located, would definitely stay here again. Especially with the outrageous prices of hotels in the area, The Mission Inn is a great value!!! Hello Johnley, Thank you for staying in our hotel. We are so delighted and proud to know that you enjoyed your stay. Here at Mission Inn we treat our guest as a family and making comfy was the best feeling that our family can offer and serve..have a good day.. and we hope to see you soon..Thank you..
"Ronovated, Modern looking and very clean." Overall my stay was a good experience. The place looks renovated, modern looking and most importantly, clean! Staff was very friendly and helpful and my stay was almost perfect, except the limited space for parking. Hi Abraham, Thank you for staying with us. We are glad to know that you liked our newly renovated rooms, your views is important to us it will bring up to the management regarding the difficulties of parking facility.. Thank you and have a great day... We hope to see you soon again.. It was good for the price. I have arthritis and stairs are difficult, especially with luggage. They gave me a room on the second level. There is no elevator. I asked if I could get a room on the first floor, but no. I guess they were all taken. My husband (aged mid- 60s) had to carry all the luggage up. When we checked out, one of the maintenance staff saw me struggling with a suitcase and kindly carried it down for me. Also you have to go up a couple of steps to get to the lobby, so this motel is definitely No Go for wheelchair users. I don't see how that can truthfully say they are handicap accessible with no ramp to the lobby. We were in a room at the far end of a block and the Wi-Fi was unreliable. Otherwise, the room was nice. Keurig-type coffee, cocoa, and tea make was nice. Roomy drawers. Good window coverings. The free breakfast did not have any protein offerings. Just fruit, cereal, pastries. The "breakfast room" was the lobby, with only one (maybe two tables) and a sofa.